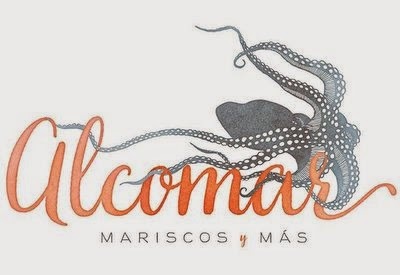 Last week, I was invited by Alcomar to come try their menu; I was not paid for a blog post and opinions are purely my own. Fortunately, it's all good things to report! 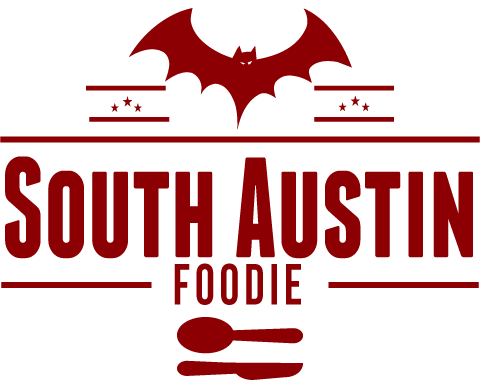 I live in the Bouldin Creek neighborhood, so I was surprised earlier this year to hear that the El Chile at South First and Mary Streets was going to change its concept to become at Latin seafood spot, as El Chile always seemed popular. Chef Alma Alcocer-Thomas of sister restaurant El Alma, and Chef Jeff Martinez of El Chile teamed up to form Alcomar, and barely a month in they're making waves (bada bing!) 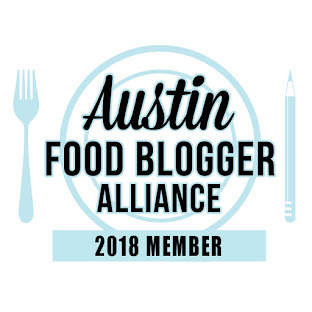 in the Austin culinary scene. 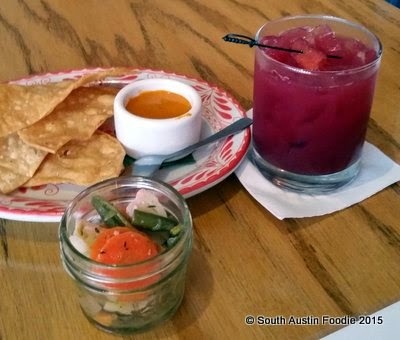 My friend and I each started with some sangria roja, and they brought fresh tostadas, a habanero-pumpkin seed salsa called siklipak and some pickled veggies (yes it was habanero, but no, it wasn't that hot). Beautiful color and flavor on the sangria, and that was just a preview, as everything we had looked and tasted fresh and vibrant. 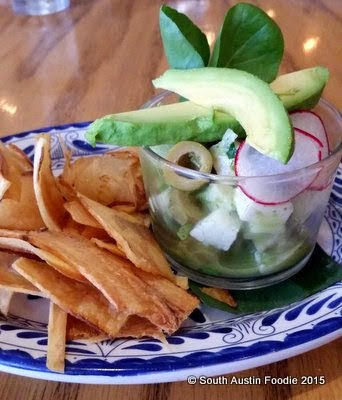 We started with the snapper ceviche, which has mint, olives, serrano and jicama in it, and is served with yucca chips. Loved just the hint of mint! My friend had the scallops Veracruzana; and if the scallops themselves aren't fabulous enough, it comes with a cauliflower flan, which was as decadent as the name flan implies. I opted for the crab cake from the appetizer menu as my main dish, and also ordered the cauliflower a la carte. 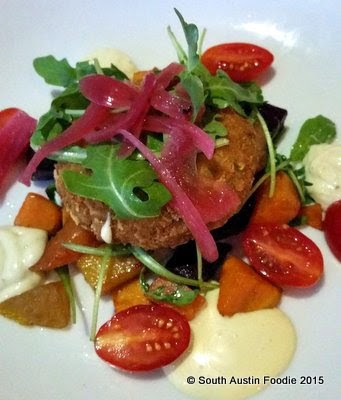 The tortilla crusted crab cake was loaded with crab, and the plate had tomatoes, sweet potatoes, beets, and a grilled lemon aioli which popped with flavor. 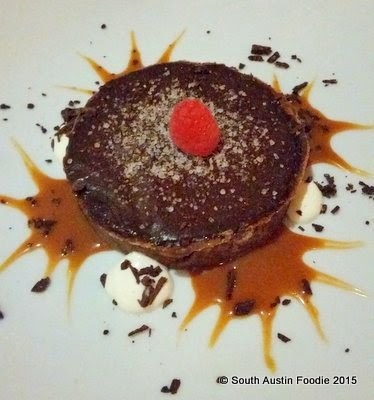 For dessert, there was the dark chocolate tart with Bolivian sea salt and what I think was cajeta (goat's milk caramel). Love the star burst presentation, and this was over the top delicious! 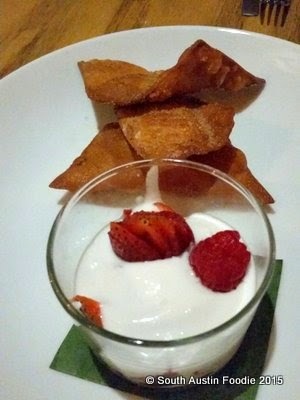 And bunuelos, fried flour tortillas (I think) dusted with sugar, and a highly edible coconut tequila crema alongside. The interior was completely revamped to give it an upscale Mexican beach feel, and my friend who lived on the Mexican coast for several months was immediately transported. 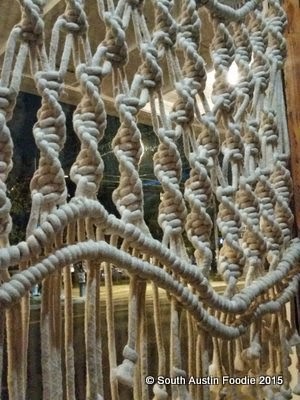 Each window has a different rope curtain and the simple light fixtures are covered with huge open-weave baskets. 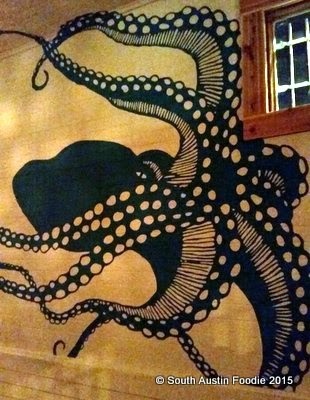 And the ever-present octopus graces the north wall, both on the interior and exterior. 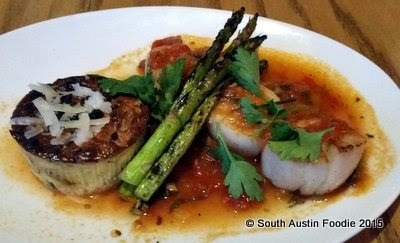 Alcomar is a great addition to the Austin food scene, as I don't know of another Latin place like this in town. Catch the wave and go try it for yourself! Mariscos y mas, con sabores fabulosos! Gracias a todos, Alcomar! Noted! Can't wait to try it out.